Ollie Douglas, Assistant Curator at MERL, reflects on the common challenges faced by museums similar to MERL around the world, after attending the International Congress of Agricultural Museums. 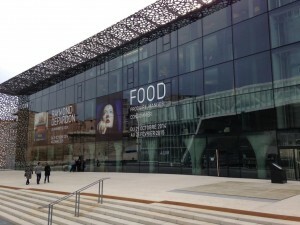 This year’s Congress was held at MuCEM, the Musée des civilisations de l’Europe et de la Méditerrainée. This extraordinary institution incorporates the collections of the former Musée National des Arts et Traditions Populaires (founded in Paris in 1937) into a modern endeavour to curate the shared culture of southern Europe. 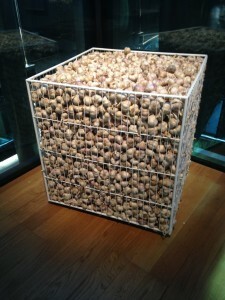 The displays are as ambitious as the architecture, beginning with the longue durée of agricultural origins and the earliest Middle Eastern farmers, exploring the complex religious history of the Mediterranean, and examining the diversity of present-day Europe through contemporary art (including a temporary exhibition focussed on Food). The packed conference programme included too many papers to mention but two speakers in particular caught our attention, their work resonating with things that we are also thinking about. Surajit Sarkar of Ambedkar University spoke of how the mechanisation of Indian farming is driving proposals for a National Museum of Agriculture in New Delhi. Indeed, Surajit and his colleagues face similar challenges to those addressed decades ago in many European museum projects. They are salvaging traditional approaches to farming before they disappear, just as MERL sought to do in the 1950s. Several generations from now our Indian partners will face the challenge that we and many others now face, of a visitor base detached from the countryside and of technologies beyond living memory. These same challenges formed the basis of Isabel’s contribution. She introduced our redevelopment plans and how we plan to deliver a MERL focussed on the strength of collections to inspire and engage audiences unfamiliar with rural life, whilst also catering to those who know the countryside well. Elsewhere, Barbara Sosic spoke of recent activity at the Slovene Ethnographic Museum, of how they seek to cater for audiences both online and in the Museum’s galleries, and of how their content resonates with people from rural communities. Their dynamic, user-centred approach chimes with the direction that we at MERL are taking, as we become more open to programmes of co-creation and co-curation and increasingly aware that museums cannot work in isolation. 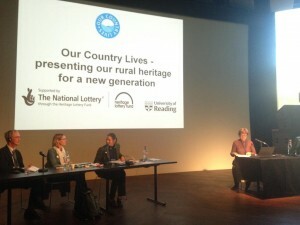 My own presentation used recent projects at MERL to explore the changing role of the curator and how inclusive and open-minded approaches might reap dividends in terms of reconnecting museums of agriculture with rural stakeholders, as well as researchers and members of our more immediate and local communities. 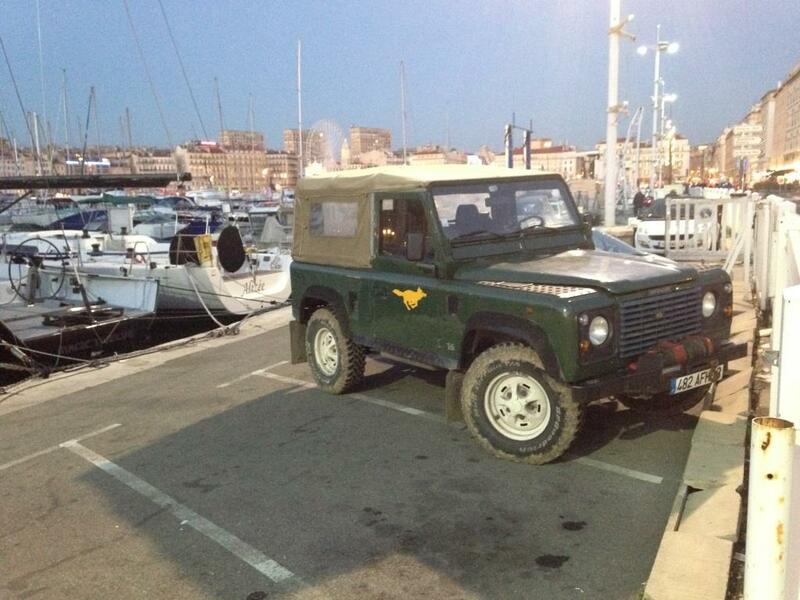 A surprising rural icon on the Marseille waterfront, reminiscent of our own Landrover! Back at home once again, we hope that Our Country Lives will help us to address these challenges and many more besides. The executive board of the International Association of Agricultural Museums (of which Isabel and I are now members) are set to hold a meeting in Reading in 2015, offering a perfect opportunity to showcase our work during development, and we look forward to revealing its successful outcomes at future Congress gatherings. Discovering the Landscape #9: 1000 books catalogued! We are delighted to be able to say 1000 books from the Landscape Institute library have now been integrated into our MERL library collection. Each book has been cleaned, processed, catalogued and labelled. The books are available in our open access library. A small number of rare books received from the Landscape Institute have also been catalogued into our closed access MERL LIBRARY RESERVE collection. 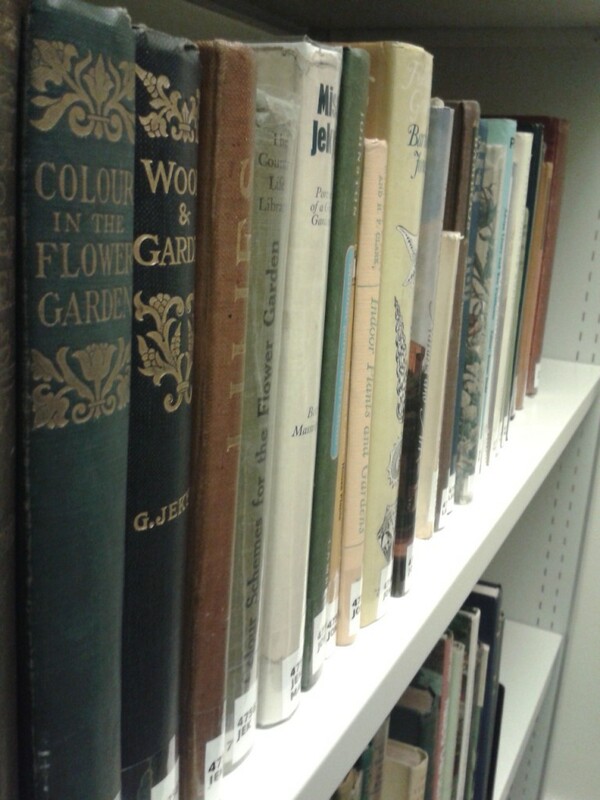 These titles complement our existing holdings, particularly our MERL library books on topics such as gardening, land policy and the environment, this new material also prompts us to consider our MERL collections afresh. The landscape is the backdrop to all aspects of rural life, but must also be seen as a worthy subject of consideration in its own right. We’re very grateful to our library volunteers who have been a great help with the processing and labeling of this collection. There are still many hundreds of books to go! Please contact us on merl@reading.ac.uk if you would like more information.